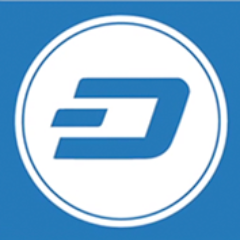 Dash, a digital currency and an alternative to Bitcoin, has announced two partnerships in Europe and Russia. BitPanda, formerly known as Coinimal, has added a buy option for Dash on its online brokerage, while Moscow’s exchange, MaRSe, has integrated the digital currency in the “wake of a historic price rise and sustained market demand”. Daniel Diaz, VP of Dash business development. says BitPanda offers “multiple payment options as well as Bitcoin and Ethereum integration”, while MaRSe is the “largest and most reputable Russian exchange for Bitcoin and now Dash, so we expect trading volumes to increase”. The partnership with BitPanda will allow anyone in Europe to purchase Dash with Visa, Mastercard, Sofort, SEPA, Neteller, Skrill and EPS/Giropay. According to Dash, MaRSe previously worked exclusively with Bitcoin, but added Dash due to “community demand”. People are now able buy and sell Dash for rubles, with the exchange rate tied to the current exchange rate on BTC-e. Dash likes to flash the good news and adds that its token valuation has increased from $11.21 to $90.40, an approximate 800% increase in Q1. Following on from the action on Tuesday (21 November), our latest blockchain and Bitcoin round-up focuses on partnerships and future potential. Featuring BDA, Bitstamp, ModulTrade and Bank of Japan.